Underwater image of a iceberg Iceberg in Greenland. 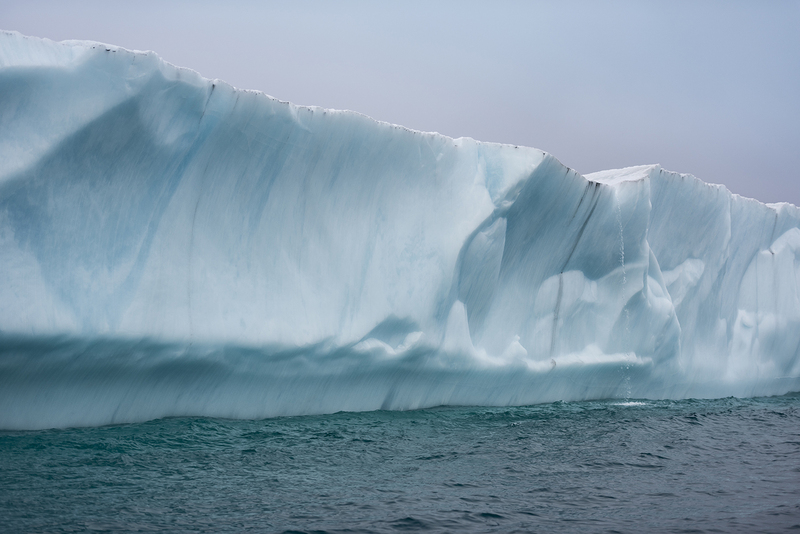 Positioned in the Arctic, Greenland is especially vulnerable to climate change and has experienced record melting in recent years and is likely to contribute substantially to sea level rise as well as to possible changes in ocean circulation in the future. Glaciers worldwide store about 75 percent of the world’s fresh water and if all land ice melted, sea level would rise approximately 70 meters worldwide. Big iceberg drifting in Scoresby Sund, the worlds largest fjord, on the east coast of Greenland. Positioned in the Arctic, Greenland is especially vulnerable to climate change and has experienced record melting in recent years and is likely to contribute substantially to sea level rise as well as to possible changes in ocean circulation in the future. 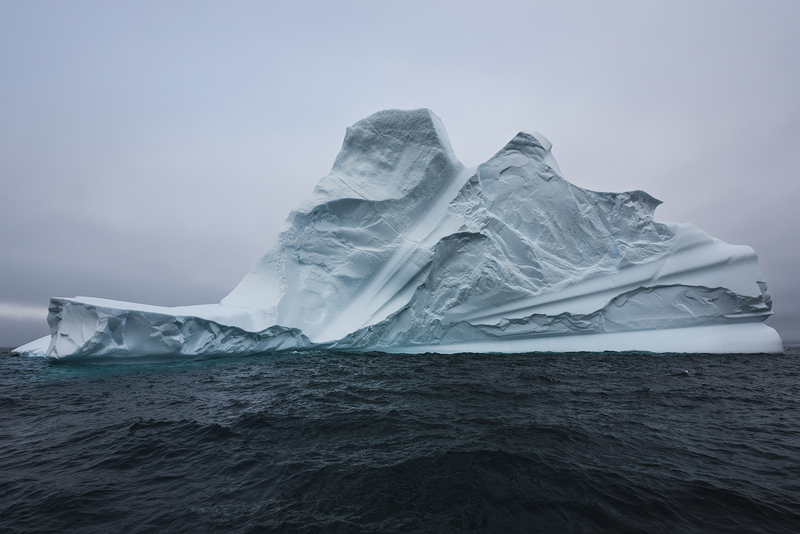 Glaciers worldwide store about 75 percent of the world’s fresh water and if all land ice melted, sea level would rise approximately 70 meters worldwide. 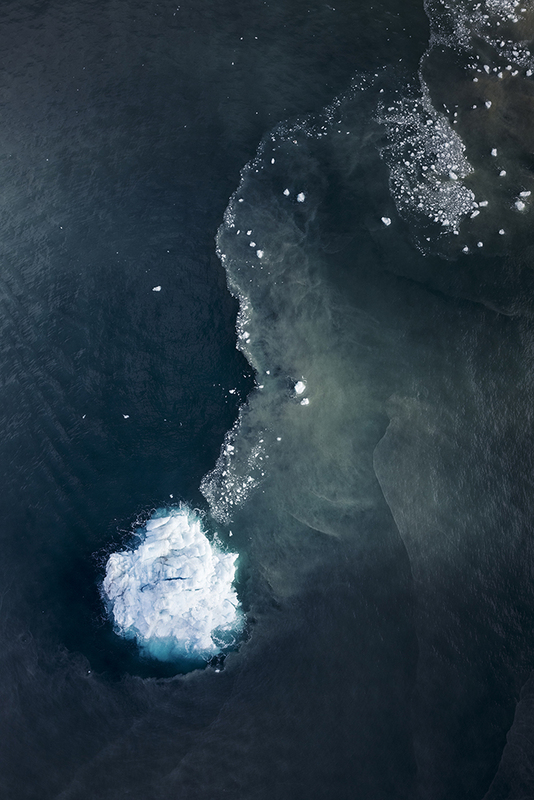 Norwegian company TGS Nopec is conducting seismic blasting off northeast Greenland, firing airguns that emit 259 decibel blasts towards the seabed in order to find possible oil reservoirs. Above water, this sound intensity would be perceived by humans as approximately eight times louder than a jet engine taking off. 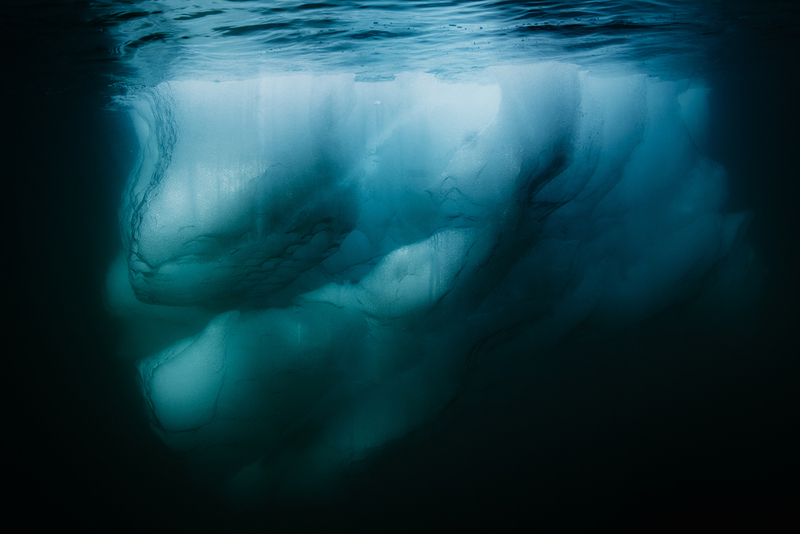 Global oil companies including BP, Chevron and Royal Dutch Shell all own drilling rights in the Greenland Sea and are the likely customers for the data uncovered by the seismic testing company. 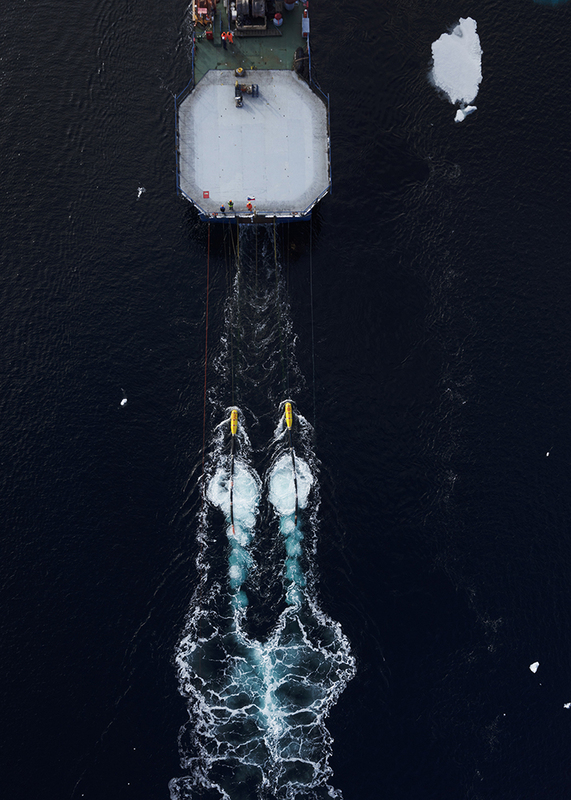 A Greenpeace expedition onboard the icebreaker Arctic Sunrise is currently documenting the seismic testing fleet, which plans to complete 7,000km of ‘survey lines’ of the seabed in the high Arctic, between 75 and 80 degrees north. According to a new scientific review, seismic blasting is ‘alarming’ and could seriously injure whales and other marine life in the Arctic. 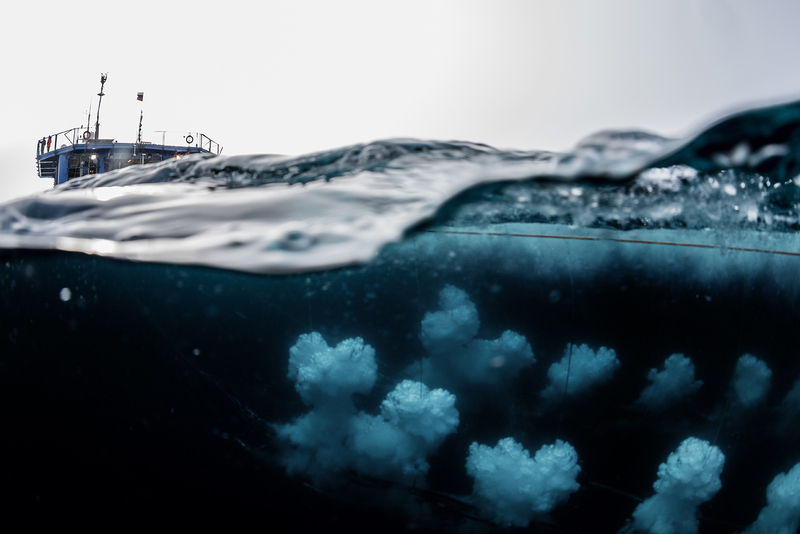 Underwater image of Norwegian company TGS Nopec conducting seismic blasting off northeast Greenland, firing airguns that emit 259 decibel blasts towards the seabed in order to find possible oil reservoirs. Above water, this sound intensity would be perceived by humans as approximately eight times louder than a jet engine taking off. 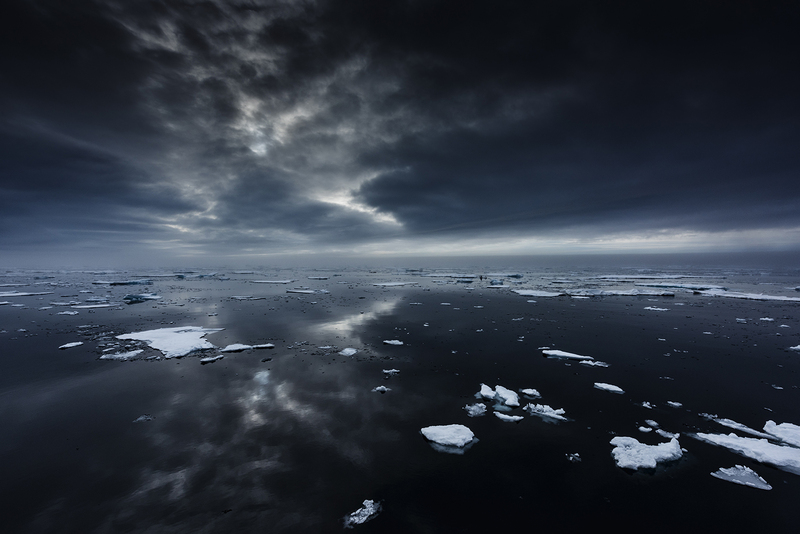 Global oil companies including BP, Chevron and Royal Dutch Shell all own drilling rights in the Greenland Sea and are the likely customers for the data uncovered by the seismic testing company. A Greenpeace expedition onboard the icebreaker Arctic Sunrise is currently documenting the seismic testing fleet, which plans to complete 7,000km of ‘survey lines’ of the seabed in the high Arctic, between 75 and 80 degrees north. According to a new scientific review, seismic blasting is ‘alarming’ and could seriously injure whales and other marine life in the Arctic. The extent of the Arctic pack ice, Greenland Sea, Northeast Coast of Greenland. Temperatures rise faster in the Arctic than anywhere else, and while scientists are warning of the mounting risks of climate change, oil companies regards the decline of sea ice as a new business opportunity. 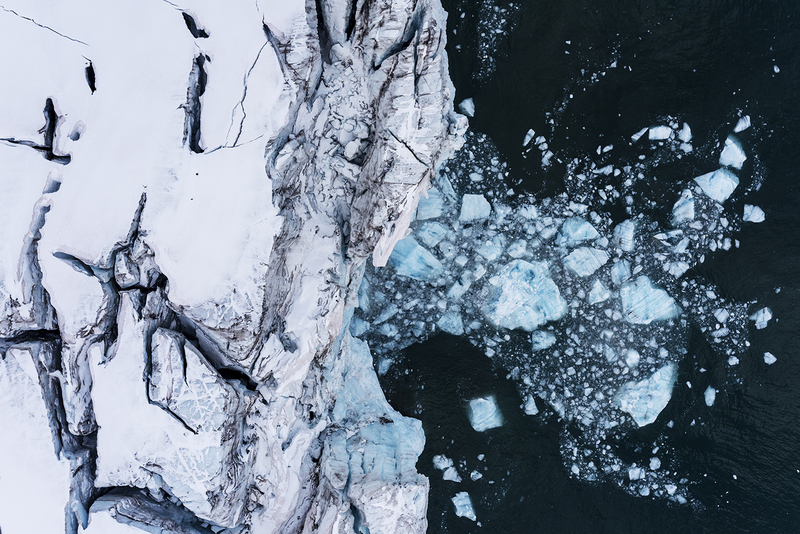 Aerial view of an iceberg and glacier water mixing with salt water in the ocean at Scoresby Sund fjord, east coast of Greenland. 10 percent of the Earth is covered with glacial ice, including glaciers, ice caps, and the ice sheets of Greenland and Antarctica. Glaciers store about 75 percent of the world fresh water and if all land ice melted, sea level would rise approximately 70 meters worldwide. Greenpeace ship the Arctic Sunrise in the extend of the Arctic ice pack, off the northeast coast of Greenland. 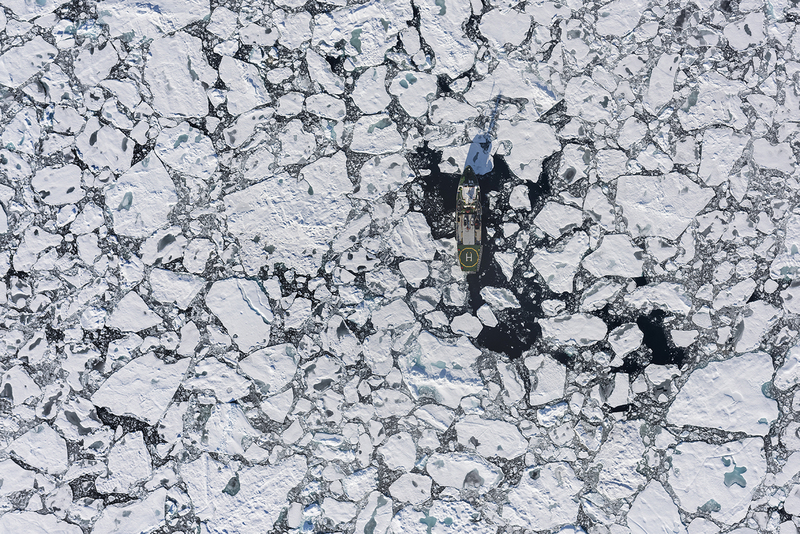 Temperatures rise faster in the Arctic than anywhere else, and while scientists are warning of the mounting risks of climate change, oil companies regards the decline of sea ice as a new business opportunity. Blue iceberg at Mikisfjord, the east coast of Greenland. Greenland is the world’s biggest Island where around 80 percent of the surface is covered with ice. The ice in the current ice sheet is as old as 110,000 years. Positioned in the Arctic, Greenland is especially vulnerable to climate change and has experienced record melting in recent years and is likely to contribute substantially to sea level rise as well as to possible changes in ocean circulation in the future. Around 10 percent of the Earth is covered with glacial ice, including glaciers, ice caps, and the ice sheets of Greenland and Antarctica. The glaciers around the wold store about 75 percent of the world’s fresh water and if all land ice melted, sea level would rise approximately 70 meters worldwide. 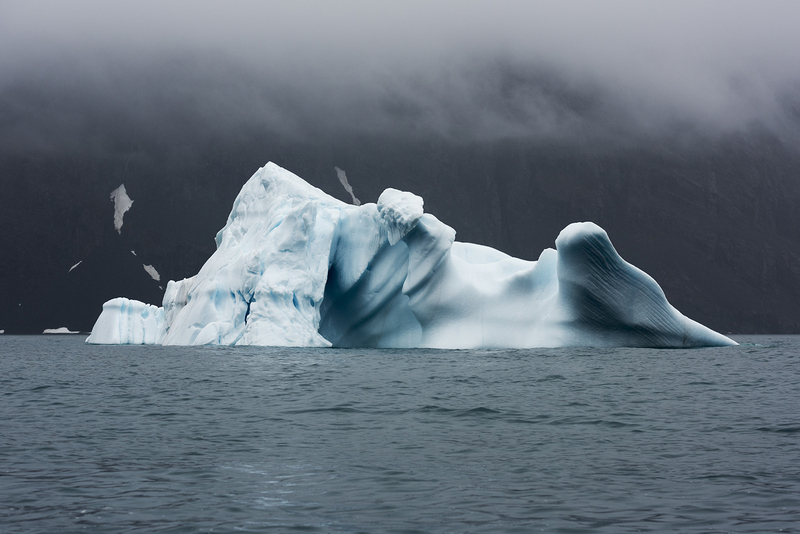 Big iceberg drifting in the fjord Scoresby Sund, on the east coast of Greenland. Greenland is the world’s biggest Island where around 80 percent of the surface is covered with ice. The ice in the current ice sheet is as old as 110,000 years. Positioned in the Arctic, Greenland is especially vulnerable to climate change and has experienced record melting in recent years and is likely to contribute substantially to sea level rise as well as to possible changes in ocean circulation in the future. Around 10 percent of the Earth is covered with glacial ice, including glaciers, ice caps, and the ice sheets of Greenland and Antarctica. The glaciers around the wold store about 75 percent of the world’s fresh water and if all land ice melted, sea level would rise approximately 70 meters worldwide. Calved ice from a glacier at Scoresby Sund fjord, east coast of Greenland. Greenland is the world’s biggest Island where around 80 percent of the surface is covered with ice. The ice in the current ice sheet is as old as 110,000 years. 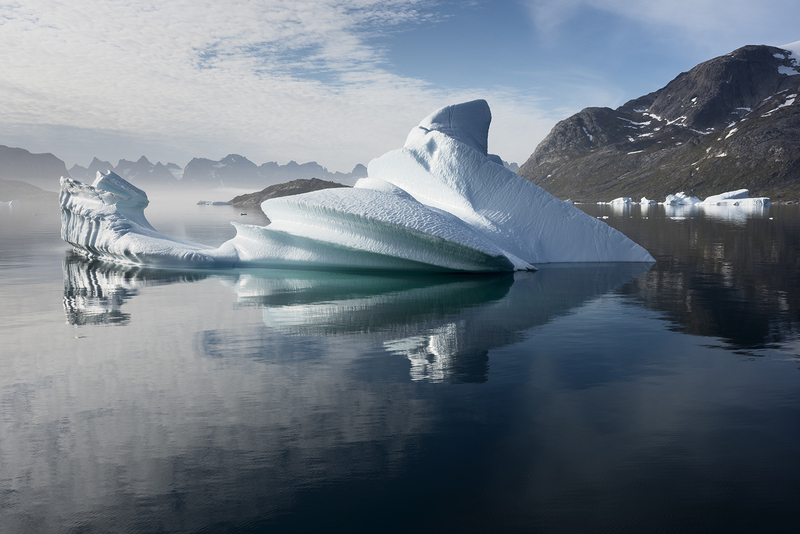 Positioned in the Arctic, Greenland is especially vulnerable to climate change and has experienced record melting in recent years and is likely to contribute substantially to sea level rise as well as to possible changes in ocean circulation in the future. Around 10 percent of the Earth is covered with glacial ice, including glaciers, ice caps, and the ice sheets of Greenland and Antarctica. The glaciers around the wold store about 75 percent of the world’s fresh water and if all land ice melted, sea level would rise approximately 70 meters worldwide.